Christopher Cannon joins the Krieger School as a Bloomberg Distinguished Professor of English. His scholarly interests are medieval literature and, in particular, the emergence of “English literature” as a meaningful category. Cannon is the author of From Literacy to Literature, Middle English Literature: A Cultural History, The Grounds of English Literature, and The Making of Chaucer’s English: A Study of Words. He is the general co-editor of Oxford Studies in Medieval Literature and Culture (a monograph series) and of the Oxford Chaucer (an edition in progress of all of Chaucer’s writing). He has also held a Guggenheim Foundation Fellowship and has received the William Riley Parker Prize from the Modern Language Association. Cannon previously taught at NYU, Cambridge, Oxford, and UCLA. 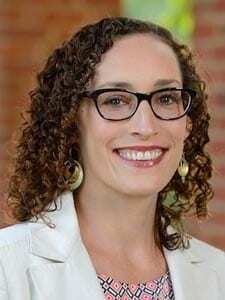 Laura Di Bianco joins Johns Hopkins as an assistant professor in the Department of German and Romance Languages and Literatures. Prior to coming to Hopkins, she was an adjunct lecturer at Hunter College at the City University of New York (CUNY). Her research interest include Italian cinema, 20th and 21st Italian Literature, Women’s and Gender Studies, Cultural Studies, and Food Studies. 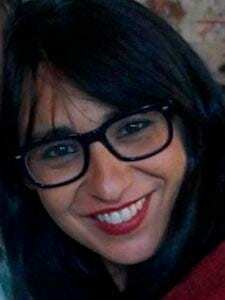 She holds a PhD in Comparative Literature and Italian Specialization from CUNY. Christopher Fetsch joins Johns Hopkins as an assistant professor of neuroscience within the Mind/Brain Institute. His research addresses how the brain combines information from multiple sensory modalities and how it establishes a level of confidence in a decision. He holds a PhD in neuroscience from Washington University in St. Louis. 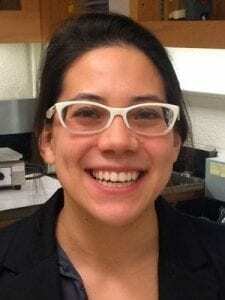 Maya Gomes joins Johns Hopkins as an assistant professor in the Morton K. Blaustein Department of Earth and Planetary Sciences. She holds a PhD in earth and planetary sciences from Northwestern University and was a NASA postdoctoral program fellow at Harvard University. Her research interests are in the use of sulfur isotope and other geochemical records to reconstruct the coupled biogeochemical cycling of sulfur, carbon and oxygen during the early evolution of life on Earth, and climate perturbations in the Phanerozoic. Aaron Hyman joins Johns Hopkins as an assistant professor in the Department of the History of Art. His scholarly interests include paradigms of artistic authorship and collaboration, the transmission and circulation of objects, and early modern print culture. He holds a PhD in art history from the University of California, Berkeley and a MA from Yale University. Hyman is currently working on his first book, which addresses the ways New World artists used European prints within their artistic practices during the colonial period. Hyman has held fellowships from the Jacob K. Javits Foundation, the Tinker Foundation, the UC-MEXUS Institute, the Belgian American Educational Foundation, the Social Science Research Council, the Center for Advanced Study in the Visual Arts, and the Metropolitan Museum of Art. He was also a Mellon Fellow in Critical Bibliography at Rare Book School (University of Virginia), and a founding member of the Andrew W. Mellon Society of Fellows in Critical Bibliography. Martha Jones joins Krieger School as Society of Black Alumni Professor of History. Prior to coming to Johns Hopkins University, she was the Presidential Bicentennial Professor and Arthur Thurnau Professor of History at the University of Michigan. Her scholarly interests include the history of race, citizenship, slavery, and the rights of women in the United States. She holds a PhD in history from Columbia University and a JD from the CUNY School of Law. Jones is the author of All Bound Up Together: The Woman Question in African American Public Culture, 1830-1900; co-editor of Toward an Intellectual History of Black Women; and author of Birthright Citizens: A History of Race and Rights in Antebellum American, along with numerous articles and essays. In addition to being the recipient of various awards and fellowships, Jones recently obtained the title of co-president of the Berkshire Conference of Women Historians and was elected to the Organization of American Historians Executive Board. 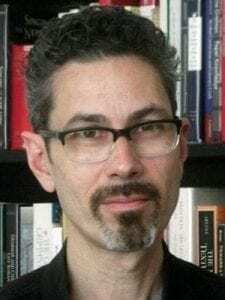 Christopher Lebron joins Johns Hopkins as an associate professor in the Department of Philosophy. Prior to coming to Hopkins, he was an assistant professor of African American Studies and Philosophy at Yale University. His scholarly interests are in political philosophy, especially on issues of social justice and race. Lebron has recently published a book titled, The Making of ‘Black Lives Matter’: A Brief History. He also wrote Color of Our Shame: Race and Justice In Our Time, which won the American Political Science Association Foundations of Political Theory section First Book Prize, along with numerous articles and essays. Additionally, he has been active in public forums discussing race, social justice, and democratic ethics, writing for publication such as The Boston Review and the New York Times. 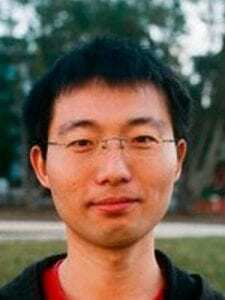 Fei Lu joins Johns Hopkins as an assistant professor in the Department of Mathematics. 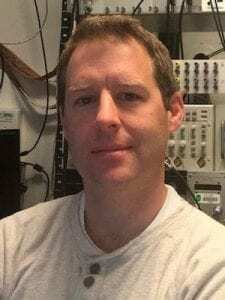 Prior to coming to Hopkins, he was a postdoctoral fellow in the Department of Mathematics at the University of California, Berkeley, and in the Mathematics Group at Lawrence Berkeley National Laboratory. His scholarly interests are in probability, statistics, and their applications in scientific computing, and his research focuses on data-driven stochastic model reduction and data assimilation. Casey Lurtz joins Johns Hopkins as an assistant professor in the Department of History. Prior to coming to Hopkins, she was an Academy Scholar at Harvard Academy for International and Area Studies. Her research primarily focuses on Latin America and involves the exploration of how rural people are understood, encountered, and shaped the world. She holds a PhD in Latin American History at the University of Chicago. 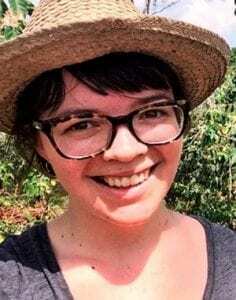 Lurtz is currently working on a book project titled, From the Grounds Up: Building an Export Economy in Southern Mexico, 1867-1920, which uses the development of southern Mexico’s coffee economy to explain how engagement with global markets was shaped by resilient local political and social structures. 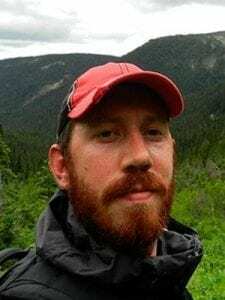 Tom Özden-Schilling joins Johns Hopkins as an assistant professor in the Department of Anthropology. Prior to coming to Hopkins, he was a lecturer and the William Lyon Mackenzie King Postdoctoral Fellow in the Canada Program, Weatherhead Center for International Affairs at Harvard University. His research interests are in the social politics of environmental modeling; and First Nations expertise in western Canada. He holds a PhD in history, anthropology, and science, technology, and society (HASTS) at the Massachusetts Institute of Technology, preceded by a MS in materials science at the University of California, Berkeley. 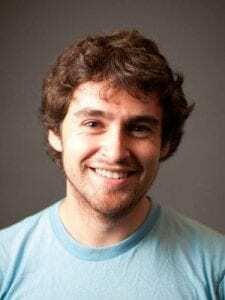 Becquer Seguin joins Johns Hopkins as an assistant professor in the Department of German and Romance Languages and Literatures. 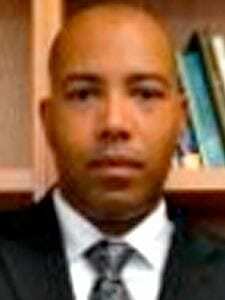 Prior to coming to Hopkins, he was an assistant professor of Spanish at Lawrence University. He holds a PhD in Spanish from Cornell University. His areas of expertise are Iberian studies from the 19th century to the present, and trans-Atlantic art connections in art history between Europe and Latin America. His essays and criticism have appeared in The Nation, Slate, the Los Angeles Review of Books, and elsewhere. 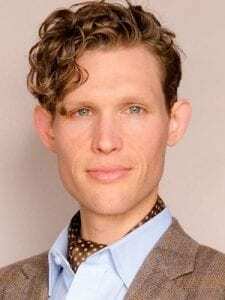 Samuel Spinner joins the Department of German and Romance Languages and Literatures as the Tandetnik Chair and Assistant Professor in Language, Literature and Culture. 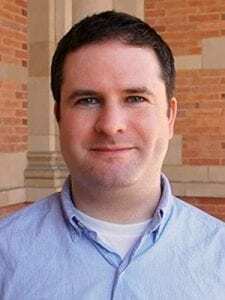 From 2012 to 2014, he was the Ross Visiting Assistant Professor of Yiddish and Jewish Studies in the Department of Germanic Languages at the University of California, Los Angeles. His research and teaching encompass Yiddish and German-Jewish literature and culture from the 19th century to the present, with a focus on modernism. His interests also include the history of anthropology, museum studies, visual culture, the Holocaust in literature, and digital humanities. Spinner is currently working on two books, The Museum of the Jews: Salvaging the Primitive in German-Jewish and Yiddish Literature, and the tentatively titled Sites of Memory, Indices of Destruction: Museums, Mimesis, and Holocaust Memory. He has also translated one of the first books written by a Jewish woman—the Yiddish ethical text Meneket Rivkah. 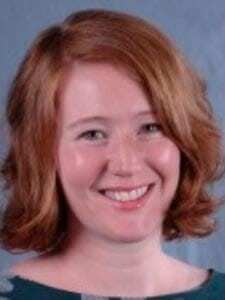 Elanor Taylor joins Johns Hopkins as an assistant professor in the Department of Philosophy. Prior to coming to Hopkins, she was an assistant professor of philosophy at Iowa State University. Her work focuses on metaphysics, philosophy of mind and philosophy of science, and the metaphysical side of philosophy of gender. She holds a PhD in philosophy from the University of North Carolina. Vesla Weaver joins Johns Hopkins as the Bloomberg Distinguished Associate Professor of Political Science and Sociology and is a 2016-17 Andrew Carnegie Fellow. Prior to coming to Hopkins, she was an associate professor of African-American studies and political science at Yale University. She is interested in understanding racial inequality in the United States, how state policies shape citizenship, and the political causes and consequences of the growth of the criminal justice system in the United States. She holds a PhD in political science from Harvard University. Weaver is the author of Arresting Citizenship: The Democratic Consequences of American Crime Control; Creating a New Racial Order: How Immigration, Multiracialism, Genomics, and the Young Can Remake Race in America; and co-author of Frontlash: Civil Rights, the Carceral State, and the Transformation of American Politics. She has served on the Harvard/NIJ Executive Session on CommunityCorrections, the APSA Presidential Taskforce on Racial Inequality in the Americas, and the Center for Community Change’s Good Jobs for All initiative. She is working on a new project on the politics of intra-racial class inequality and another that will map patterns of citizenship and governance across cities and neighborhoods called the Faces of American Democracy. 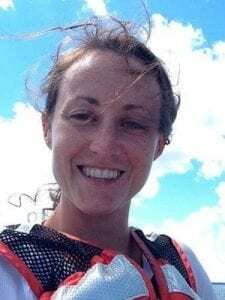 June Wicks joins Johns Hopkins as an assistant professor in the Morton K. Blaustein Department of Earth and Planetary Sciences. Prior to coming to Hopkins, she was an associate research scholar in the Department of Geosciences at Princeton University. Her research interests involve answering the most fundamental questions about planetary bodies such as: what is our planet and other rocky planets made of and how did they form. She holds a PhD in geochemistry from California Institute of Technology.